Buying the new Skoda Rapid has been made easier now. But as a good opportunity comes knocking only once, the offering to avail the luxury of sedan at a much affordable price is limited too. Skoda Finance Pvt Ltd, a body working under the Volkswagen Finance Private Limited, has come up with this plan to make the sedan available to people at an effective EMI of Rs. 8999, that too for a limited amount of time. The new scheme has lend the future buyers to reckon on how to draw their attention once again at buying the saloon. Since now it can be availed with an option of monthly EMI. Skoda cars have already gathered lot of admiration and trust from people and now buying the Skoda sedan with such offer will assist the firm to gain more market share. More to the effective and competitive pricing of the car, the wagon has sufficient space to stuff your stuff, the quality of saloon, being premium one, comes as standard feature, rather than optional. The scheme, serves not only to finance you but also to for the purpose of upgrading your Skoda Rapid. All this at an extremely affordable EMI. One fact that should be kept in mind all this while is that the offer is limited. 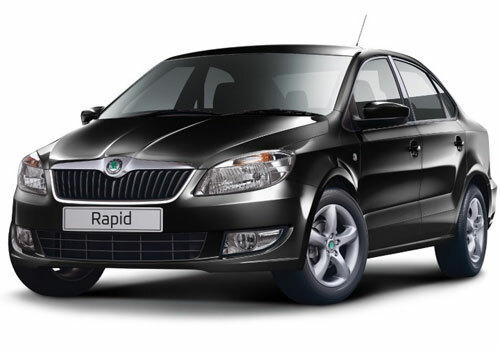 To speak on the product, Skoda Rapid is mainly a result of rebadge engineering. Skoda’s partner Volkswagen, lend the Vento platform, so as to bring about the new Skoda Rapid. The insides and even most of the outsides are similar to that of Vent, some turnout elements like, front fascia, seems to have been captured from Fabia. A wagon made out, externally and internally from, the Fabia and Vento, can only finally attain higher value than other cars in the market. With platform by Volkswagen and with trust of Skoda, the rapid sales of Rapid, is evident. The choices over engine offered consist of the both the fuel types, petrol and diesel. Capacity of engine is 1.6 liter. The petrol version can be availed with six speed automatic transmission. Skoda Rapid features boot lid, ORVMs that can be adjusted electrically. Recently more features have been added to Active and Ambition variants of the car. Due to the Skoda Rapid price has gotten higher in the price chart, though not much can be distinguished as far as the looks are concerned. 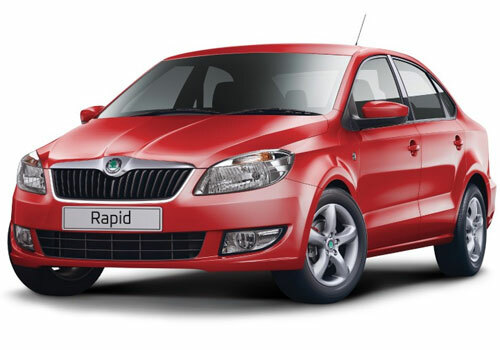 Skoda Rapid pictures over the Internet have build the inevitable excitement. There is considerable rush at the Skoda dealerships across India.